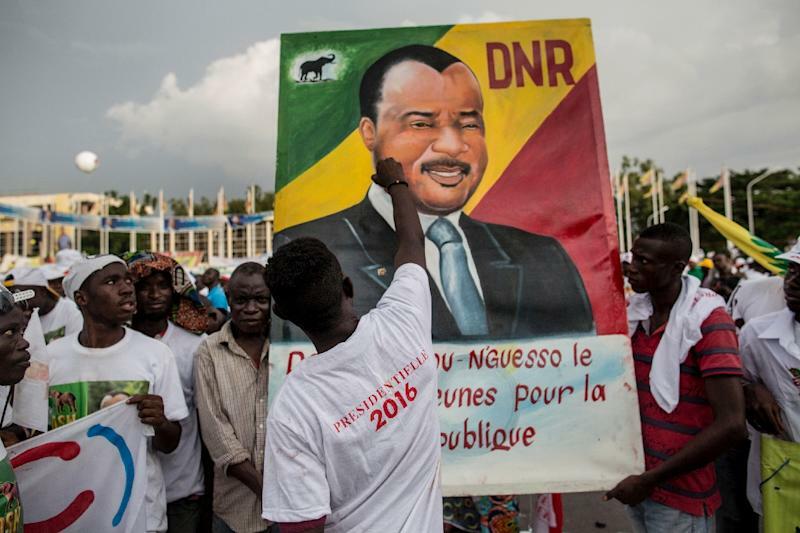 Brazzaville (AFP) - Congo voted on Sunday under a nationwide media blackout in a tense ballot expected to see President Denis Sassou Nguesso prolong his 32-year rule over the oil-rich but impoverished nation. Voting seemed largely quiet in the capital, but it was impossible to get information from the rest of the country after the government shut down communications during the polls. Interior Minister Raymond Mboulou ordered telecoms firms to block all telephone, Internet and SMS services for 48 hours due to "reasons of security and national safety". In what appeared to be an isolated incident, police fired tear gas to disperse a crowd of around 200 opposition supporters at a polling station in Brazzaville. Officers hit some of the crowd with clubs and took away one person after supporters of opposition candidate Guy-Brice Parfait Kolelas demanded officials let them into a polling station to observe the counting. Polls closed at 1700 GMT and results are expected from Tuesday. "Things are going calmly," said Eric Katolo, head of an 18-person observer mission from the International Conference on the Great Lakes Region (ICGLR), before voting ended. In Brazzaville's northern Ouenze neighbourhood, where support for the president is high, locals earlier said they wanted "stability" and "peace", two watchwords of Sassou Nguesso's re-election campaign. "We don't want what happened in Libya to happen in Congo," said 29-year-old Papin, referring to the descent into chaos in the North African country after the 2011 ouster of longtime dictator Moamer Kadhafi. "The opposition are dangerous. 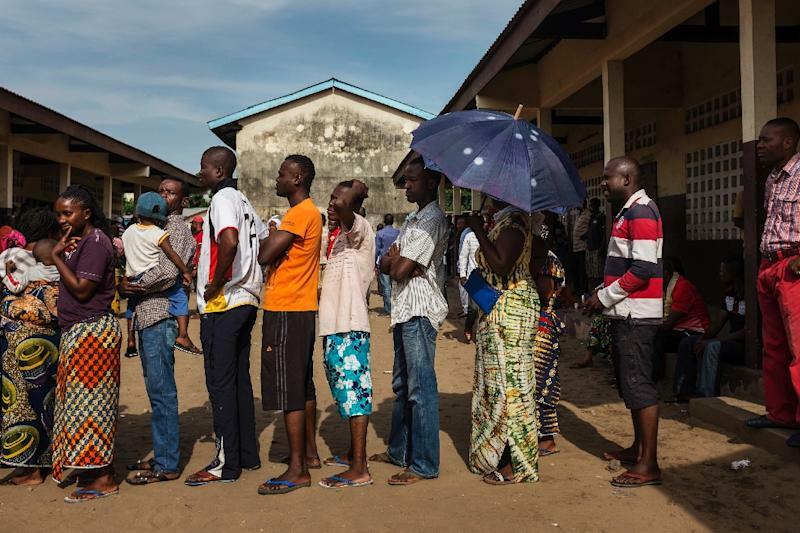 If we have peace, it is thanks to Sassou," said Fridolin, a 31-year-old economics graduate. In Poto-Poto, dozens of youths took advantage of a traffic ban to play football in the street in the city centre. There was a visible police presence, notably at checkpoints monitoring vehicles allowed on the road. In the run-down Makelekele district in the south of the capital, few hid their opposition to the incumbent president. "He won't get 10 votes here," said Raymond, a 56-year-old builder. 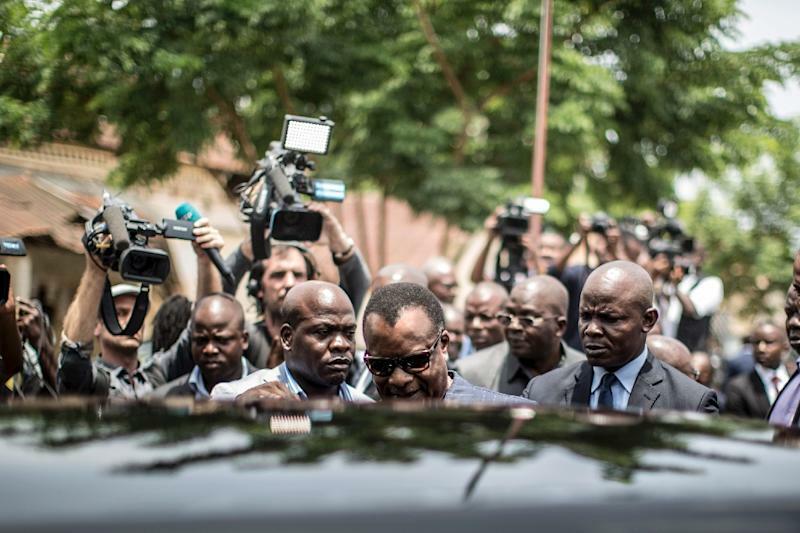 Tensions have been running high in Congo since an October referendum when voters agreed changes to the constitution that removed a two-term limit, allowing 72-year-old former paratrooper colonel Sassou Nguesso to run in the election. The changes were approved in a referendum by 94.3 percent, dubbed "a constitutional coup" by the opposition. Even before the vote, protests erupted that left several people dead. While the Republic of Congo saw growth of five percent over five years through to 2014, with oil and timber providing its main revenues, the country remains in dire straits. Unemployment hit 34 percent in 2013, the last data available, and stood at 60 percent for 15 to 24-year-olds. Sassou Nguesso acknowledges there is a problem. His new election platform underlines government efforts in education while noting that "60 percent of graduates without work" qualified at the country's sole university. The president has told voters he just needs more time.